70 Years Later, A New Chance To Read 'Marriage' Back in print after 70 years, Sandor Marai's gorgeous Hungarian novel about infidelity and shattered love still resonates with surprises. 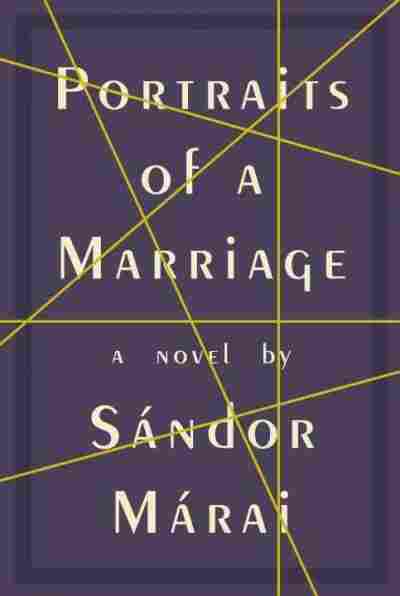 There is a point early on in Sandor Marai's Portraits of a Marriage — a 1941 novel that is just now back in print — when our narrator, a middle-class woman who has married into the vanishing Hungarian bourgeoisie, realizes that she has lost her husband to an invisible rival. The smoking gun is a lilac ribbon in his wallet. With the singular focus of a lover scorned, Ilonka vows to reclaim her marriage. But as she explains years later to a friend in a Budapest cafe (while across the room, her now-ex-husband, Peter, buys a candied orange peel for his new wife), her relationship was suffering from emotional absentia long before she discovered the infidelity. "He loved me, no question about that," she says. "But at the same time it was as if he were merely tolerating me in his house, in his very life." Neither Ilonka nor her polite bourgeois marriage is around for much longer; the second section of the book cuts to Peter, long divorced, as he watches his former mistress step into a car with somebody else. Judit, dealt the best hand of all, is last seen admiring a lover in the early light of a Roman morning. This is a novel that dwells in both the ruins of marriage and empire. Born in the eastern city of Kassa — now located in Slovakia — at the turn of the 20th century, Marai rose to prominence in the 1930s as a literary novelist and critic of fascism. 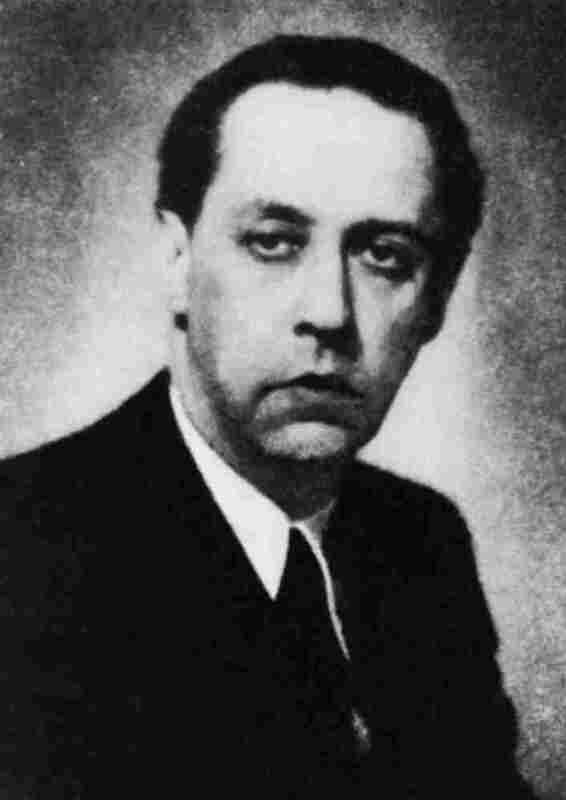 Commonly described as interwar Hungary's great middle-class writer, Marai fled to the U.S. during the ascent of communism, and since his suicide in 1989, his work has enjoyed a mini-renaissance outside of his homeland. Four of his novels have been translated into English over the past 10 years, and Portraits guarantees that more are in the offing. Set in the waning days of the Austro-Hungarian Empire, a period when "the whole world was a garden at the point of turning," Marai's novel expresses cultural decline through the dissolution of marriage, shifting between Ilonka, Peter and Judit Aldozo — the ribbon's original owner. As one couple gives way to another, stoic 19th century social mores experience their final shudders in the bedroom. Writing in a strikingly modern tone, Marai allows his characters the luxury of hindsight and intercontinental settings in which to ruminate. He sets monologues in the intimacy of Hungarian cafes, Italian hotel rooms and, in an epilogue appended sometime after the original 1941 edition, a seamy midtown Manhattan bar. In the end, Ilonka loses Peter, Peter is abandoned by Judit, and Judit, dealt the best hand of all, is last seen admiring a lover in the early light of a Roman morning. This is a novel that dwells in both the ruins of marriage and empire. Portraits is primarily set against the backdrop of war, and Hungary's social reshuffling is played out most acutely in Peter and Judit's romance, with love assuming the air of class jousting. "We observed each other like opponents before a duel," Peter says of their courtship, which occurs following years of Judit working in his home. "At that time we still thought this duel would be the chief concern of our lives, a life-or-death affair, and that at the end of it, however scarred and patched by then, we would declare an armistice, a gentlemen's agreement." But out of calculation or mistrust, armistice never comes. Peter thinks Judit distant and rehearsed; and Judit shares his opinion, viewing her marriage as an expression of his liberal guilt. But between her barbed comments and Marai's subtle irony, we can never be sure whether she's speaking in earnest. Cut ahead once again, to Judit rationalizing her decision to leave Peter — along with a cache of his jewels — to her new lover. Much of this is revealed in the first sections of the novel, and as the plot progresses, the assumed drama of betrayal is understood as something more. There are many ways of reading Portraits — romance, parable, cultural history — but all are bound up in the question of possession; or rather, the impossibility of it. Love, money, and homeland prove transient for Marai's characters, and in the absence of permanence, they're given the opportunity to explain themselves, to perform parts for unseen companions. Some of these dialogues work better than others, but what readers are left with is a radiant vision of loss, as well as the creeping sense that in the wake of failed romance, nobody is completely telling the truth. Look, see that man? Wait! turn your head away, look at me, keep talking. I wouldn't like it if he glanced this way and spotted me; I don't want him to greet us. Now you can look again . . . The little squat one there in the fur-collared coat? No, of course not. It's the tall, pale-faced one in the black overcoat talking to that blond stick of a girl behind the counter. He is just having some candied orange peel wrapped. Strange, he never bought me candied orange peel. What's that, dear? . . . Nothing. Wait, I have to blow my nose. Has he gone? Tell me when he has gone. He's paying now? . . . Can you see what his wallet looks like? Describe it carefully; I don't want to look that way. Is it brown crocodile skin? Yes? Oh, I'm so pleased. Why am I pleased? Just because. Well, yes, of course, I gave him the wallet, for his birthday. Ten years ago. Was I in love with him? . . . That's a hard question, dear. Yes, I believe I did love him. Has he gone yet? Good, I'm glad he's gone. Wait, I must powder my nose. Does it show that I have been crying? . . . It's stupid, I know, but see how stupid people can be? My heart still beats faster when I see him. Can I tell you who he is? I can tell you, darling, it's no secret. That man was my husband. Come on, let's get some pistachio ice cream. I really can't understand why people say you can't eat ice cream in winter. I love this patisserie best in winter for the ice cream. There are times I almost believe that anything possible to be done should be done, not just because it's good or makes sense, simply because it's possible. For some years now in any case, ever since I've been alone, I've enjoyed coming here between five and seven in the winter. I like the crimson decor, the Victorian furnishings, the old waitresses, the big metropolitan square beyond the shop window, watching the customers arrive. There's a sort of warmth about it all, just a touch of fin-de-siecle. And there's no better tea anywhere, have you noticed? . . . I know the new generation of women don't go to patisseries. They prefer espressos, places where you have to rush, where there are no comfortable chairs, where it costs forty filler for one black coffee, where they can eat salad for lunch, that's how it is now. But it's not my world. What I want is refined patisseries like this, with such furniture, with crimson carpets, with their ancient countesses and princesses, their mirrored cupboards. As you may imagine, I'm not here every day, but I do call in during the winter and feel comfortable here. My husband and I used to meet here pretty regularly, about six o'clock, at teatime, after he finished at the office. Oh yes, he was on his way home from the office just now. It's twenty after seven, his home time. I am familiar with every part of his routine, even now, as if it were his life I was living. At five minutes before six he rings for the office boy who brushes him down and presents him with his hat and coat, and he leaves the office, sending the car ahead so he can walk behind it and get some air. He doesn't do much walking, that's why he is so pale. Or there may be some other reason, I don't know now. I don't know the reason because I never see him, don't talk to him, haven't talked to him for three years. I don't like those prissy little separations where the two parties walk arm-in-arm from the court, dine together at that famous restaurant in the park, are tender and solicitous toward each other as if nothing had happened and then, after divorce and dinner, go their own ways. I'm not that sort of woman: my morality, my blood pressure won't allow it. I don't believe that men and women can be good friends after divorce. Marriage is marriage; divorce, divorce. That's what I think. But what do you think? True, you've never been married. I don't think that relationships people have entered on and nurtured for decades, vows they have unthinkingly kept, are empty formalities, you see. I believe in the sanctity of marriage. I think divorce is a kind of sacrilege. That's how I was brought up. But I believe it anyway, not just because of my upbringing, but because my religion demands that I believe it. I believe it because I am a woman and a divorce is no mere formality for me any more than the ritual in the church before the registrar is a formality: either it binds people together, body and soul, for once and for all, or it divides them, absolutely, and sends them their utterly separate ways. Not for one minute did I console myself with the thought that my husband and I would remain "friends" after our divorce. He was courteous, of course, and remained concerned for me, and generous too, as custom dictates that he should be. Not me, though. I was neither polite nor generous. I even took the piano, yes, as was my right. I was furious for revenge, and would happily have taken the whole house, right down to the curtains—everything. The moment we divorced I became his enemy and I remain so, as I will till the day I die. I don't want a friendly invitation to dinner at the restaurant in the park from him; I don't want to play the little woman, to be delicate, to be someone who visits her ex-husband's home and looks after things when the servant steals his linen. I wouldn't care if they stole the lot, everything, nor would I rush over to him if I heard he was ill. Why? Because we are divorced, you understand? It's not something to which one can become resigned. Wait, I withdraw what I just said about him being ill. I wouldn't want him to fall ill. If he did I would visit him in the sanatorium. What are you laughing at? Are you laughing at me? Do you think I'm hoping he'll fall ill so I can visit him? Well, of course I hope that. As long as I have hope, I will carry on hoping. But I wouldn't want him to be too ill. He was so very pale, did you notice? . . . He has been pale like that for some years now. I'll tell you everything. Have you got the time? Sadly, I have all too much. Excerpted from Portraits of a Marriage by Sandor Marai. Copyright 2011 by Sandor Marai. Published by Knopf, a division of Random House, Inc. All Rights Reserved.